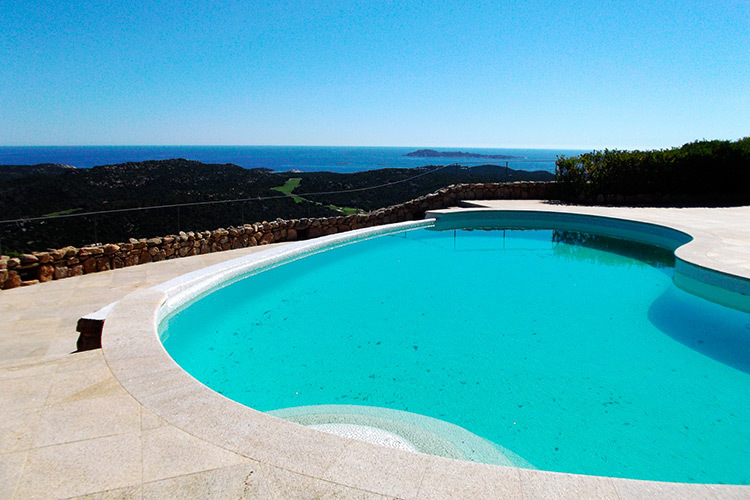 A pool without accessories is just a tank full of water. 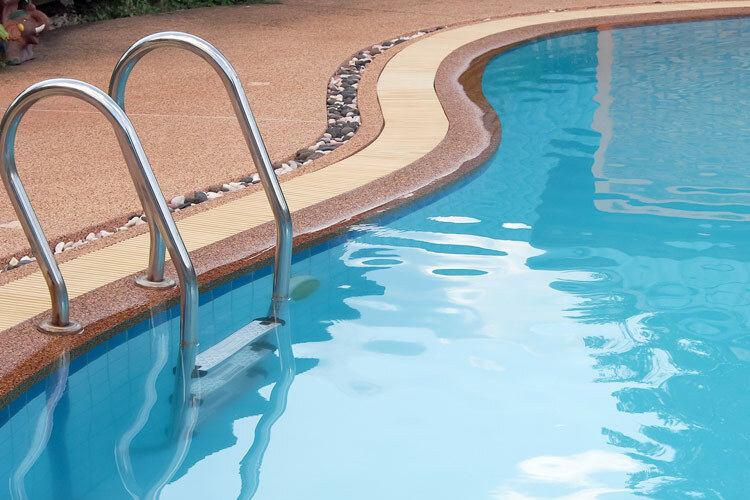 Given this simple and indisputable truth, our aim is to help you personalize your pool by choosing from a vast range of accessories able to change the look of your pool and its surrounds. Finishes and robotic cleaners, furnishings and lighting systems, hydro-massage, showers, slides and trampolines ... Landscaper proposes a vast array of accessories for the completion of your relaxation area, everything necessary to make your pool a unique environment dedicated to enjoyment and wellness. 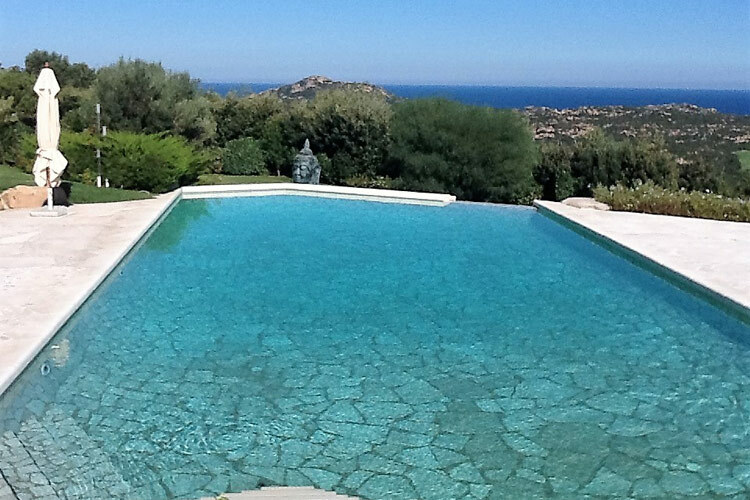 A key component of the project, the choice of finishes determines the pool’s style and ensures its perfect integration in its natural or built context. 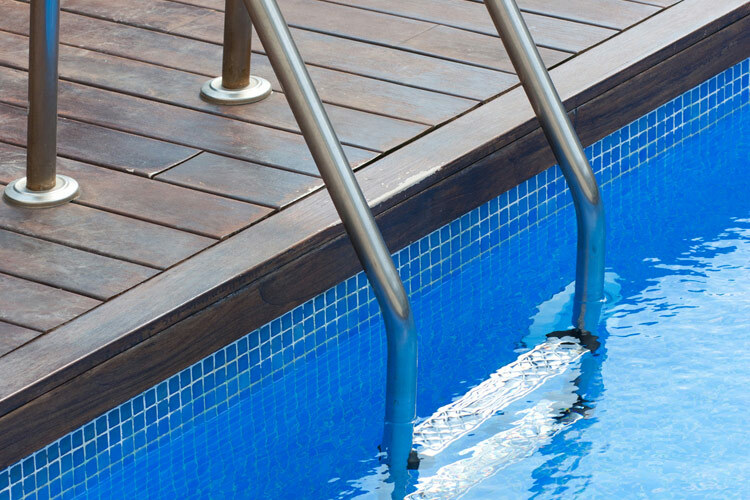 This is a fundamental accessory which needs to be defined in the planning stage; it blends the aesthetic with the functional: indeed the steps guarantee safe access to the pool and at the same time help define its style. Fully customizable, steps range from traditional types (stainless steel ladders, with non-slip treads and a handrail anchored to the outside of the pool) to extremely creative solutions which transform this element into a luxury accessory, such as the insertion of hydro-massage jets and seats, or the use of steps in a beach-entry pool, providing a sunbathing area. 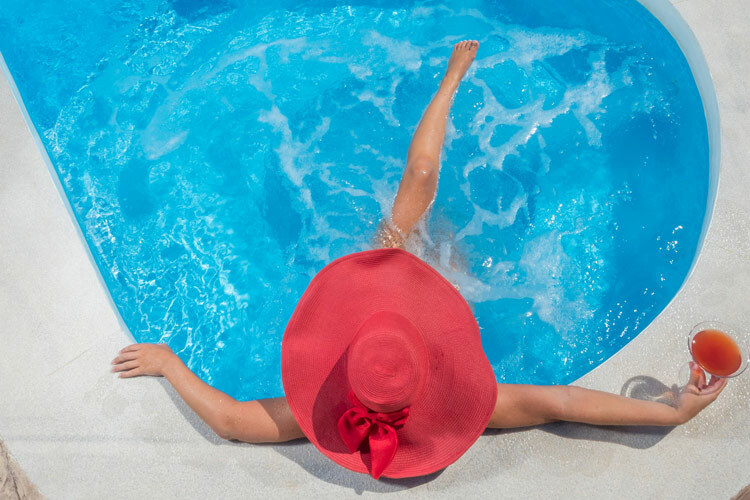 This is a very useful accessory, ensuring pool protection from debris and external agents which would affect water quality and promote the growth of germs and bacteria. 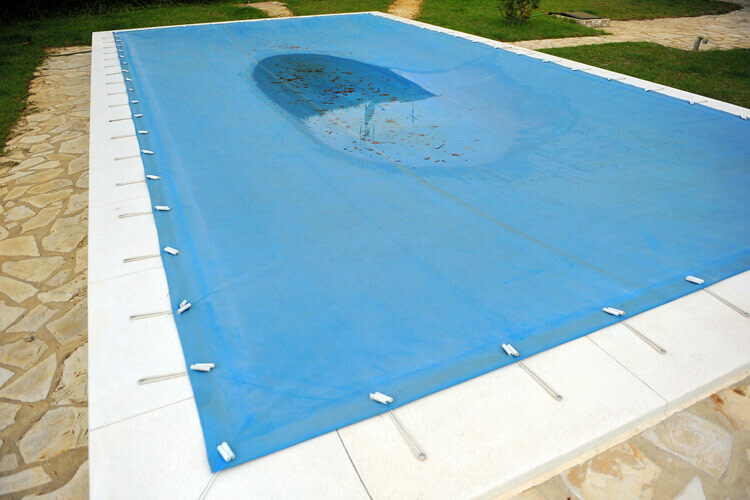 Pool covers help to reduce significantly the need for chemical substances for water purification. This decreases costs and environmental impact. These can be installed either above ground or submerged. 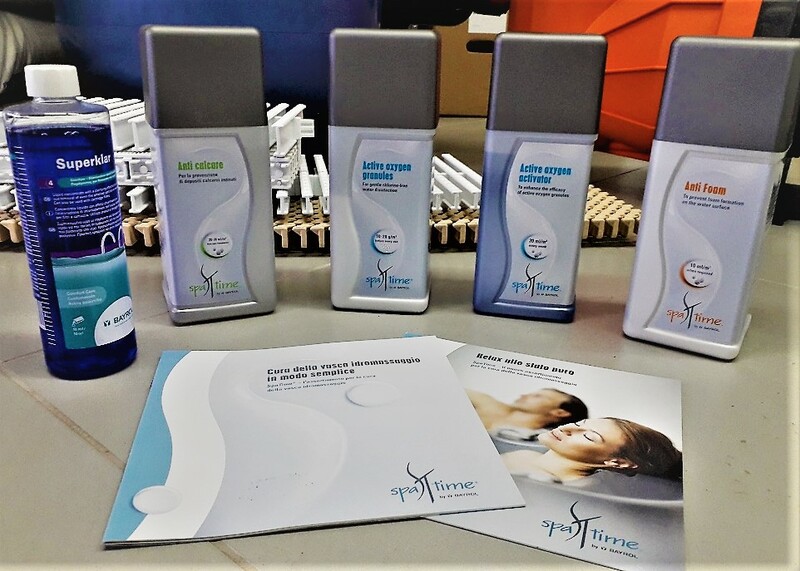 When stored they are hidden in a concealed cavity, ensuring minimal visual impact. They can be operated automatically, by means of a remote control or push button system, and they come in durable and cold-resistant material. The solution in reinforced PVC, anchored to anodized aluminium tracks, can support the weight of several persons, something to bear in mind for the prevention of accidental falls, especially when children are around. 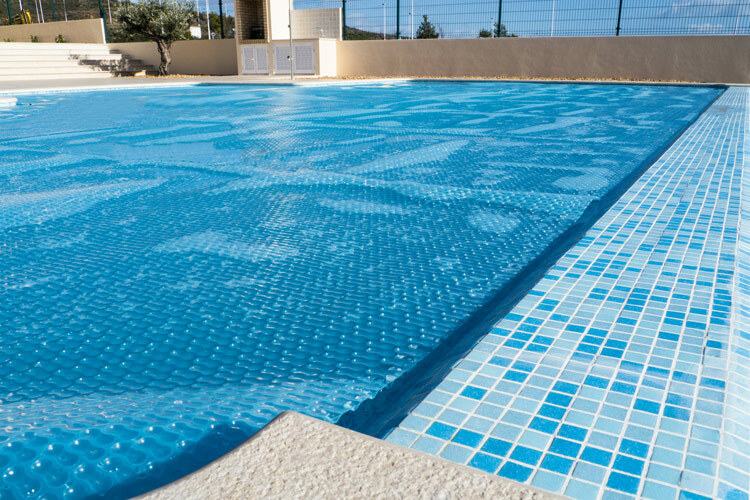 Ideal for protecting the pool during its use season, these covers protect the pool from impurities, prevent water evaporation and reduce temperature drops during the night hours. This is a very affordable solution, available in the bubble (solar) type or in insulating foam material and it comes equipped with a manual or motorised roller. 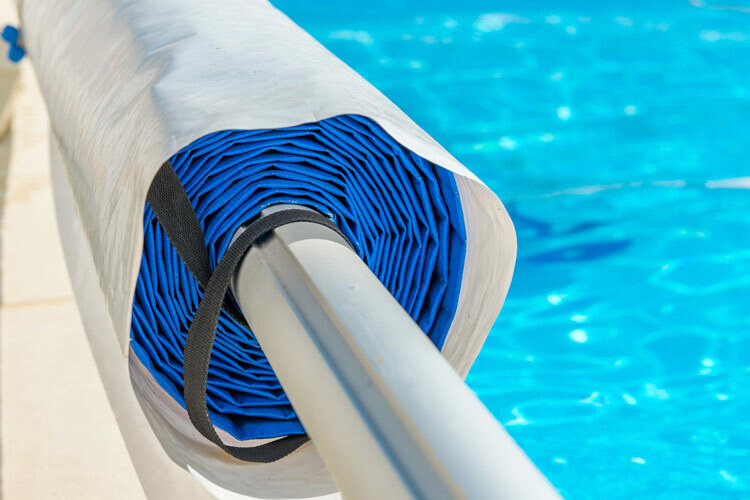 Designed to protect the pool during periods when it is not in use, these winter covers are super-resistant and allow water to be kept in the pool during the cold season. There are models equipped with eyeholes and elastic ropes, perfect for pools which are either entirely or partially above ground, and models with perimeter tubes to be laid over the cover in underground pools. Telescopic enclosures, made up of sliding panels, are sturdy structures which protect the pool from the weather, creating a new indoor space. The cover, which fits in well with the natural or architectural context stores the heat of the sun and keeps air and water temperature higher, thus prolonging the season of use. Lighting is another basic component which must ensure a good mix of the functional and the aesthetic. 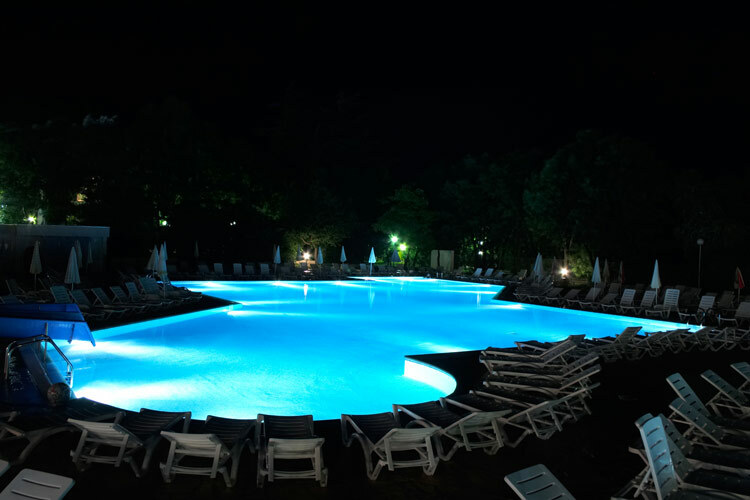 The lights of the pool and its surrounding area must be installed in strategic points thus guaranteeing balanced lighting and a pleasing, embracing atmosphere. 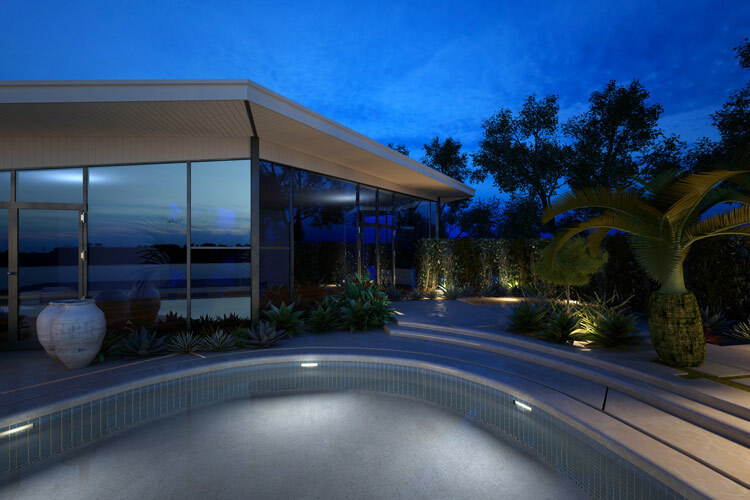 The underwater spotlights set in the sides of the pool are the most traditional and widespread system in use. Compared with traditional halogen lamps, LED spotlights provide stronger lighting, are longer lasting and ensure considerable energy savings, since they tend to heat up less. These spotlights can be controlled by means of a remote control system, either manual or automatic, and create pleasing plays of lights and colours, used also for colour therapy. 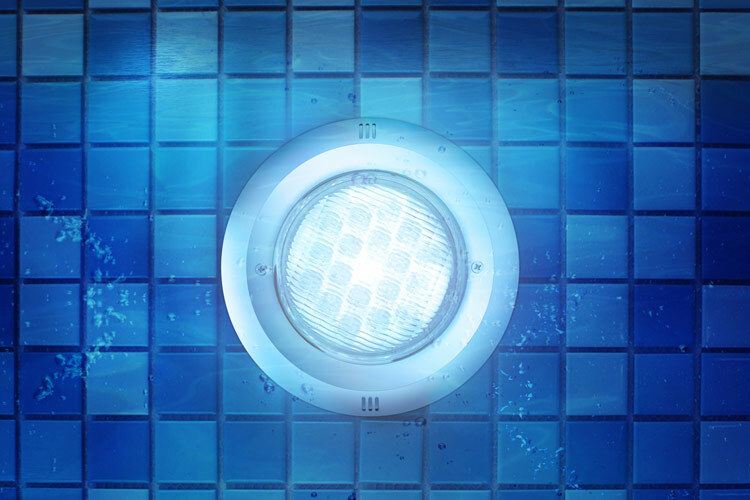 Insertion of a line of LED spotlights in the drainage channel produces excellent visual impact which outlines the pool's edge in a stylish manner. 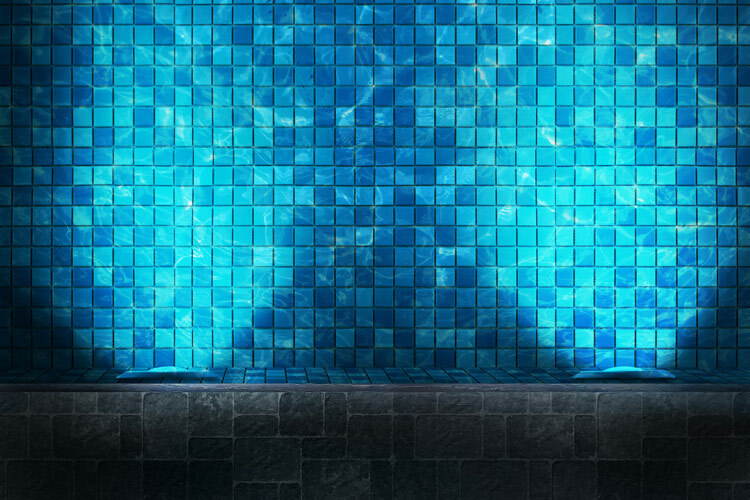 The installation of a hydromassage system transforms use of the pool into a daily ritual dedicated to the wellness of mind and body: compression/decompression of body tissues produced by the air jets stimulates circulation, favours draining of liquids and produces a toning and revitalising effect. At a psychological level, the release of endorphins produces a pleasant sensation of wellness and relaxation. The nozzles installed along the pool walls can be either fixed or orientable; they come in several types and finishes, allowing you to obtain your massage of choice. Installed on the pool floor, the geysers release a jet of high-pressure air and water, which surrounds the body completely guaranteeing a pleasant foot massage and an overall lymph drainage effect. 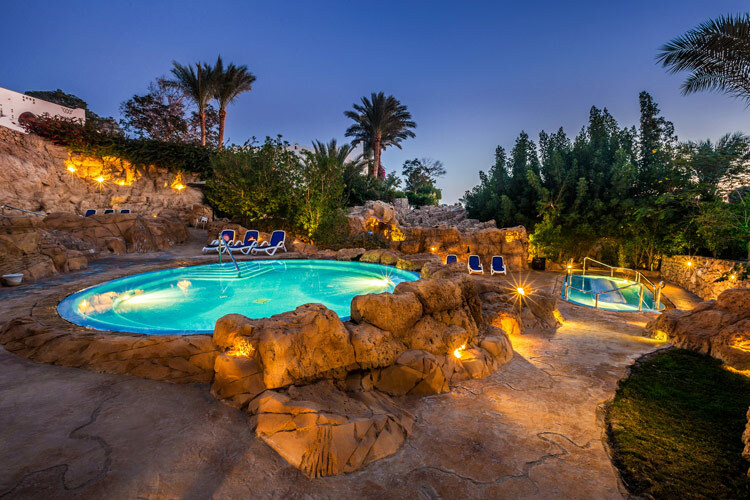 The fountains and waterfalls, (either simple, swan-neck or water blade) give the pool a distinctive character and offer relaxing neck and back massage, thus completing your personal wellness temple. Designed to guarantee the correct stimulation of the legs and lower back, these benches come equipped with plates on the seat, with micro-holes through which the air is released. The benches can be prefabricated, in steel and ABS, or constructed in concrete lined with soft PVC mattresses or membranes. Ergonomic and comfortable beds producing a massage effect over the whole body. They can be installed either separately or side by side, on a prefabricated supporting structure in steel and plastic, or in concrete covered with PVC membrane. An ideal solution for physical exercise lovers, the counter-current swimming unit will transform your home pool into a training area. 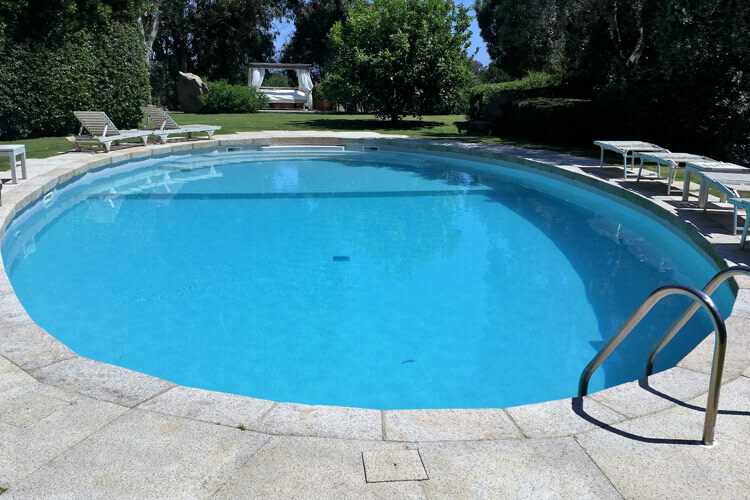 The unit collects water from the pool and returns it, generating a current at adjustable speed, which allows you to swim on the spot and at the same time delivers the full benefits of hydromassage. 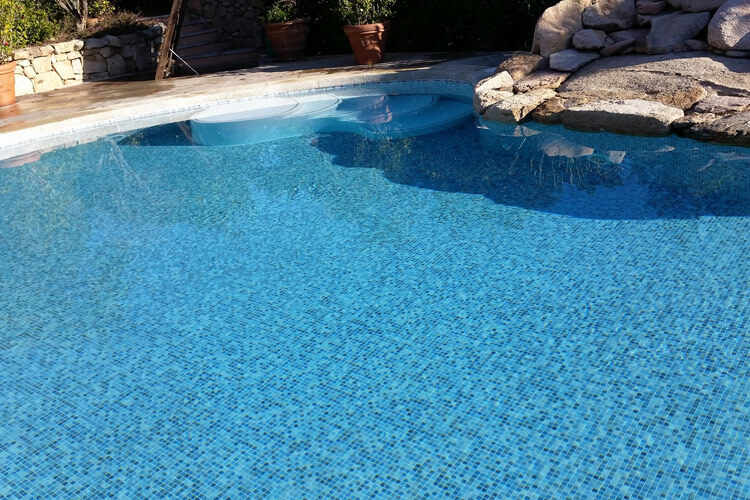 Daily use of the pool inevitably leads to the deposit of debris of all kinds: hair, insects, leaves and dust risk limiting your pool’s appeal. 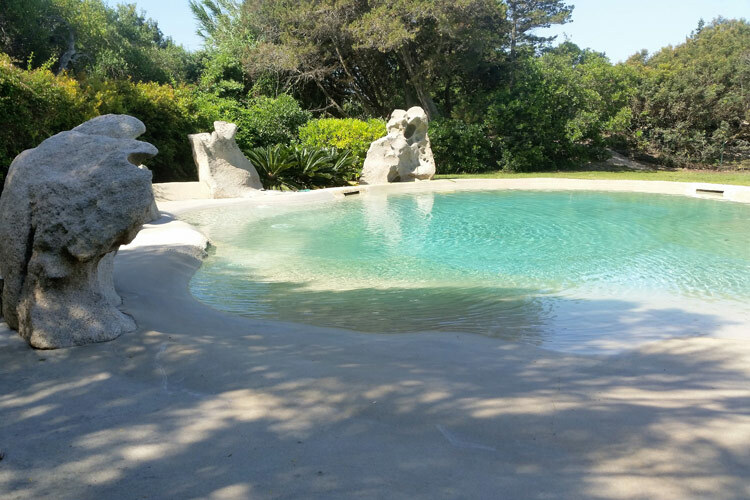 Luckily, there are numerous cleaning systems available, all able to guarantee excellent water quality and a pool always ready for enjoyment. Inexpensive and easy to use, they are used to remove rapidly medium-large size debris, such as leaves, hair or insects. 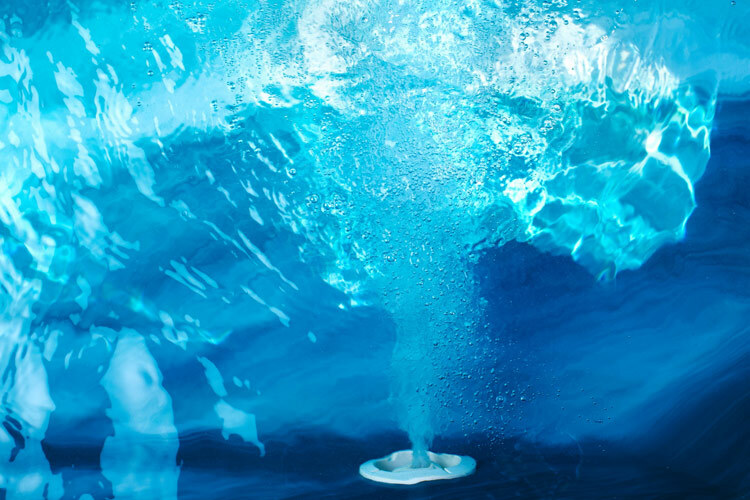 The sack-type model can be used to collect debris that has sunk to the bottom of the pool while the flat type is perfect for skimming the pool's surface. 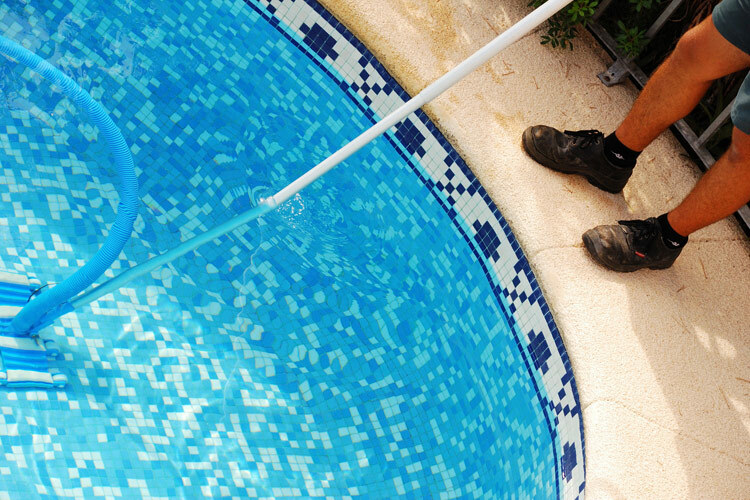 These robots are highly advanced cleaners which take care of the pool's hard surfaces, guaranteeing excellent cleaning. 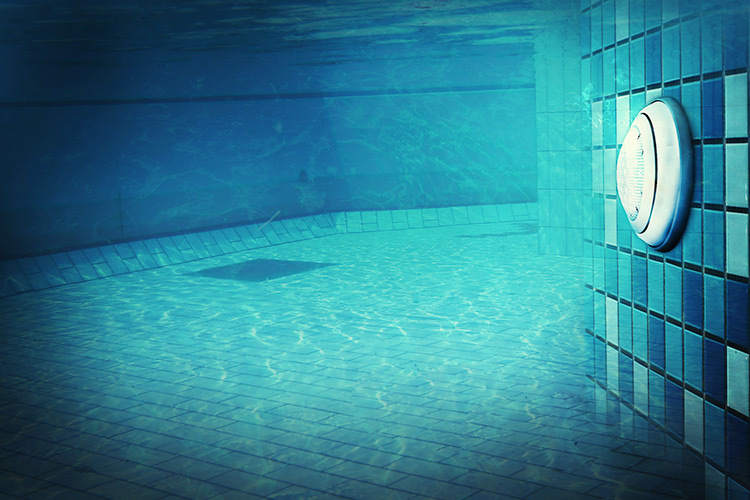 Set on the border of the pool, the robot detects the size and shape of the pool, and then collects debris, holding it until it is emptied. The most sophisticated models have a remote control and are able to move up the walls, thus scrubbing the floor, walls and water line. This is a manually operated hydraulic cleaner, provided with a practical telescopic handle. 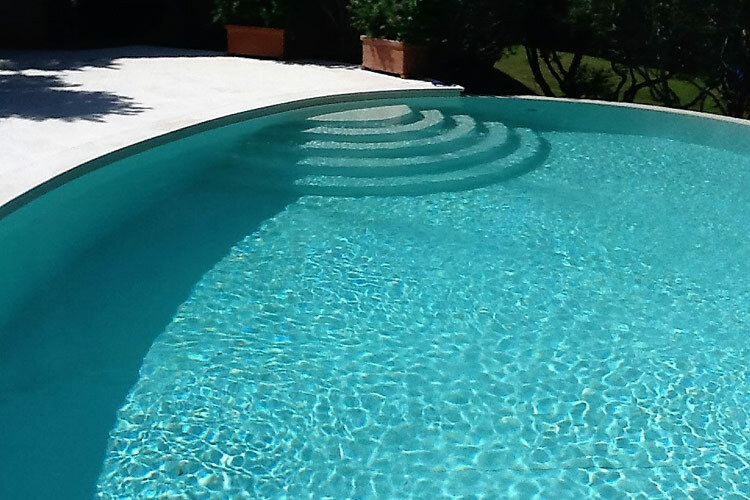 It guarantees rapid effective cleaning of corners, steps and critical points of the pool. Immersed in the water and not exposed to the air, these aspirators are simply connected to the drain hole of a skimmer or to a suction outlet. 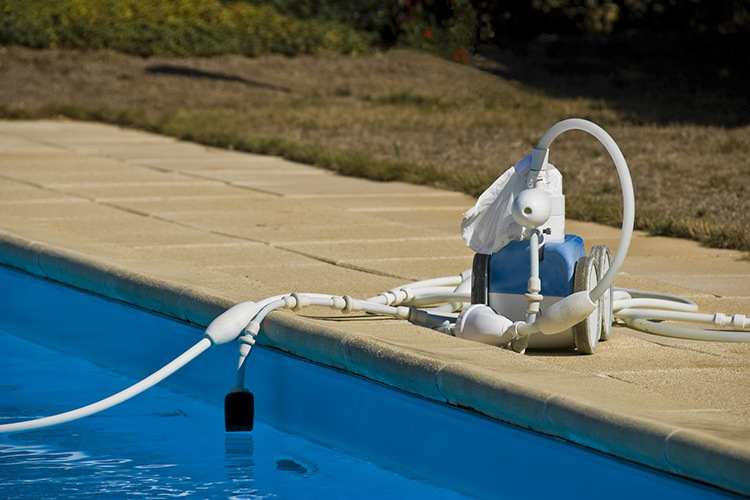 Silent and easy to use, this cleaner uses the power supply of the pool’s filtering system and, like the aspirator, must be connected to an outlet hole. 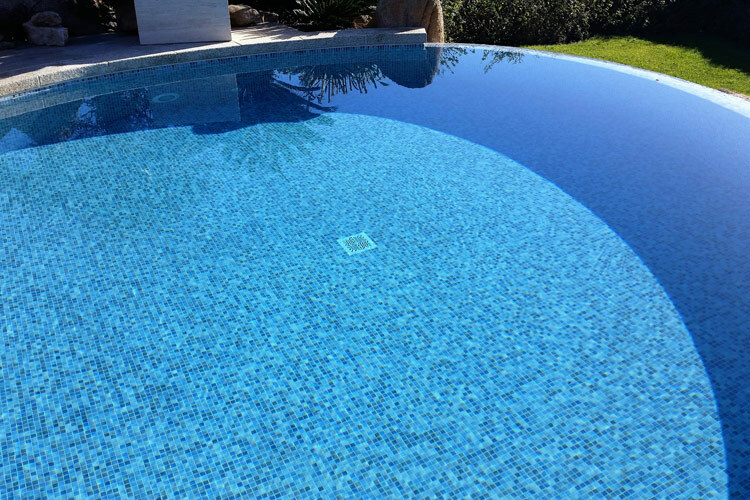 Ideal for medium-sized pools, its special serrated cleaning disc allows the cleaner to access the most difficult points of the pool, cleaning its bottom and walls thoroughly. 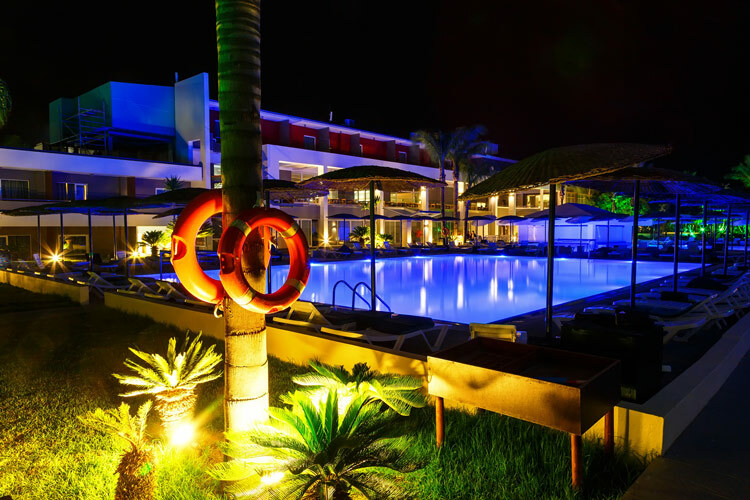 All automatic units are provided with control microprocessors which automatically calculate the shape and size of the pool. A must to complete every pool, these showers are an environmentally friendly and inexpensive solution, using the hot water contained in the tank heated by the sun. 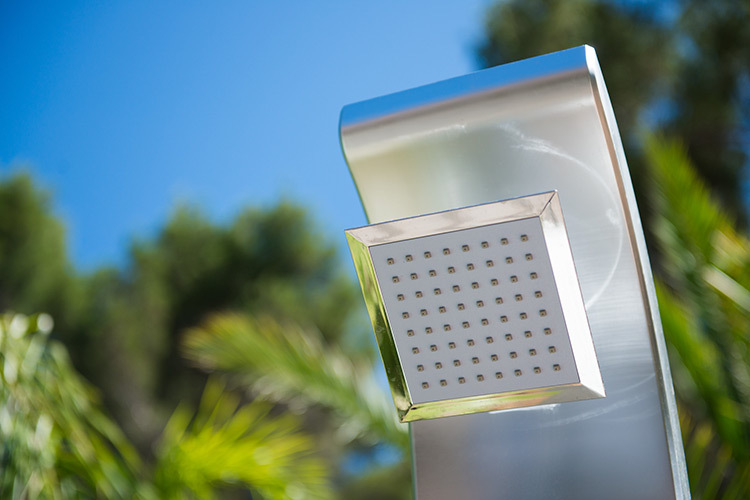 Easy to connect to a water source, these showers are available in a wide range of shapes, colours and materials.